The Fitting Room challenges the fashion industry asking: what if you have an unusual body shape, are gender non-conforming or live with a disability? Interviews 15 April, 2019 . Written by Isidora Durán Stewart. In an interview with GCN, Paddy explains: “The Fitting Room is all about inclusivity of everyone and shining a light on people who have amazing and compelling stories who society or the fashion world may have forgotten about. It’s about #Fashionforall. 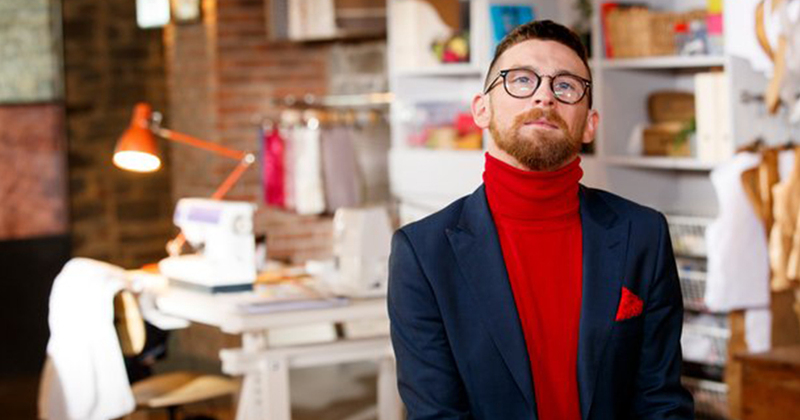 Paddy has personal experience with accessing appropriate and fashionable clothing as a disabled person in Ireland. The presenter had some feedback for the commercial fashion industry, saying that they currently lack “versatility and visibility of different types of people within the industry. The Fitting Room is a 6-part series that will air every Monday at 9:30 pm from 15th April on RTÉ2. 15 April, 2019 . Written by Isidora Durán Stewart.